Allen Brothers - New web design and magento platform — Delorum. 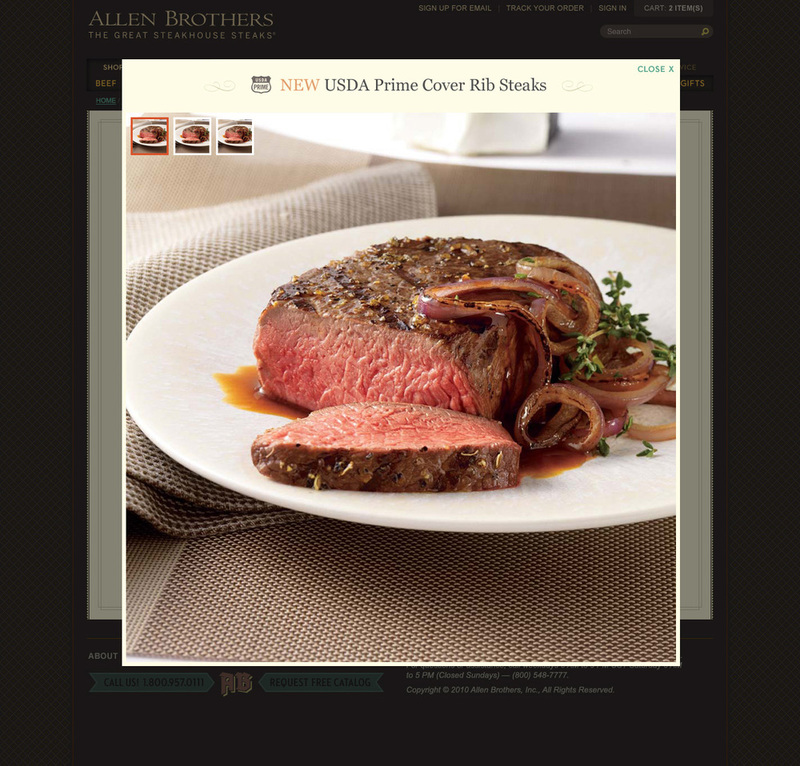 Allen Brothers leads the food industry in purveying the finest prime meats and other quality foods to some of the best steakhouses and restaurants in the country. Since 1893 they’ve earned a reputation as a trusted provider of the finest, consistently best tasting and most tender USDA Prime beef by never compromising on quality and ensuring customer satisfaction. Allen Brothers tasked us to translate their company philosophy online and provide a rich, customized and satisfying experience for each consumer. We drew from their heritage, researched the “dining experience” and utilized our enterprise level ecommerce expertise to create a new experience for their digital patrons. Allen Brothers’ esteemed reputation and 120-year history inspired us to reinforce high quality and appeal through design. Typography and icons were customized to reflect the heritage and richness of the brand.